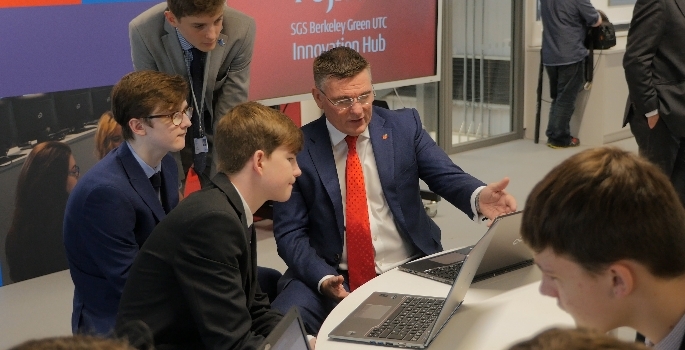 In conjunction with University Technical Colleges (UTCs) across England, Fujitsu has announced the launch of the University Technical College (UTC) Cyber Security Group, which looks to prepare students aged 14–19 for the cyber security jobs of tomorrow. Working with cyber UTCs across the country, along with the help of leading-edge security and private sector organisations, the group looks to bridge the security resource and skills gap that organisations face, to help better protect today’s society from cyber threats. The group will aim to equip a minimum of 500 students a year with the right cyber skills to be able to hit the ground running when they start employment, and to better prepare those moving into higher education. As UTCs provide an alternative and innovative technical education for students in their final years of school, whilst working in partnership with leading national and local employers, a fundamental part of the group’s commitment will be to ensure teachers are also equipped with the necessary tools and knowledge – such as updates on the latest threats and solutions, as well as available job roles – to help these students leave with the relevant and appropriate skills needed for today’s digital world. At the launch there will be 23 organisations and UTCs who will form the group alongside Fujitsu. Those involved will have the opportunity to sponsor their local UTC, meaning they can get to know the students personally, potentially offering them a job at the end of the tenure or offering further sponsorship to allow students to go onto higher education. “With cyber threats becoming more prolific and hackers increasingly more creative and savvy in their approach to attacks and breaches, the people and skills available to protect organisations and society must respond. While UTCs are attracting more and more ‘academic’ students, our real strength is in offering a learning journey that allows students to experience a practical education that prepares them for the world of work. Historically students may not have considered entering a cyber security profession, often meaning they missed out on a career that they could be good at, and one in which they’d find purpose and fulfilment,” said Mike Halliday, Business Relations Manager for UTC Reading, UTC Swindon, and UTC Heathrow. As part of the commitment, the group will meet every quarter to agree the course content that will be delivered to cyber security students. What’s more, each organisation will commit a minimum of five days of teaching and training to UTCs annually over the next three years, ensuring that today’s cyber students are well versed on today’s threat landscape and the tools and techniques being used.